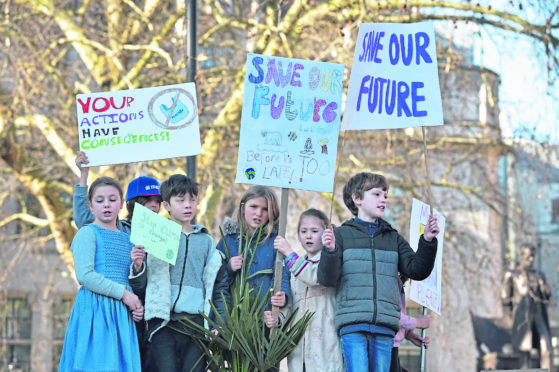 Children with placards during a climate change protest on Parliament Square in London. This is the dedication etched onto the memorial in Tarbert for the two men who lost their lives when fishing vessel, the Nancy Glen, went down in Loch Fyne just over a year ago. Situated at the end of Pier Road by the East Loch viewpoint, it’s a beautiful spot – and a poignant reminder of how fleeting life is. One day someone you love is there, the next they aren’t. It’s as simple and cruel as that. My dad shared photos of the stone when it was first unveiled at a ceremony to mark the inaugural anniversary of the tragedy last month. And, as you might imagine, seeing it firsthand, the impact is all the more powerful. Last year when we visited my parents, the wreck was being raised. Today, you’d never suspect something so terrible could have happened here – but for the plaque, a single candle burning by its side, lest we forget. We pass it on our walk from the harbour to Shell Beach, where hundreds of thousands of broken shell pieces are tightly packed together. Undoubtedly one of my favourite routes in south Argyll, it is usually the first trip we undertake upon arrival. Perfect for blowing away the London cobwebs, the scenery is outstanding and air so fresh. I always make a point of gulping it in, in the manner of my late grandma who used to insist we inhale slowly and deeply whenever we were out on walks as youngsters, which was often. She was certainly ahead of her time (by UK standards at least) in grasping the importance of mental wellbeing and the role nature can play in maintaining it. A resulting love of the outdoors has stayed with me into adulthood, and on any given day, you’ll find Maya and I out for a stroll. As far as is possible, we walk everywhere. I consider it a double win – exercise for me and a “bit of fresh” for us both. Or am I actually putting my baby at risk? In the coming days, we will be making the most of Scotland’s beautiful west coast, with Maya enjoying some of the freshest air on offer. Come the end of our fortnight’s break however, we’ll be back in the Big Smoke, where we live not much further than a stone’s throw from the North Circular Road – the most congested in the UK, according to recent data. There are parks, sports pitches and allotments too – and Epping Forest isn’t far away. But I’m acutely aware that the nearby greenery cannot be enough to counteract the pollution that is filling Maya’s lungs daily as we march past queues of traffic, her buggy – and head – at exhaust level. I was desperately saddened while preparing this piece to read about nine-year-old Ella Kissi-Debrah, who lived 25 metres from London’s South Circular and suffered a fatal asthma attack in 2013 after almost 30 hospital visits. An expert report obtained in April found air pollution levels at a monitoring station one mile from her home “consistently” exceeded lawful EU limits over the three years prior to her death. And I don’t think that up to now I’ve truly appreciated how bad the situation is in many of the UK’s urban centres. Research published by Unicef last year found around one in three children in the UK breathe in harmful levels of air pollution every day. Meanwhile, the World Health Organization (WHO) has calculated that in 2016, 91% of the global population was living in places where its own air quality guideline levels were not met. The UK Government’s Clean Air Strategy, launched in January, describes air pollution – which contributes to a range of respiratory and other conditions – as one of the biggest threats to public health in this country, behind only cancer, obesity and heart disease. That the issue is on ministers’ radar to this extent is an important first step. However, while the plan pledges action to reduce emissions from a variety of sources, it has received criticism for being light on detail and not going far enough. 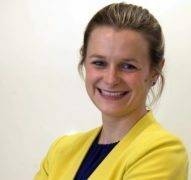 Environmental lawyers ClientEarth welcomed the ambition to halve the number of those living in areas with pollution above WHO guideline levels, but urged “tighter legally binding limits locked into legislation”. The charity also warned the strategy doesn’t address air pollution from road transport. Additionally, Unicef UK executive director Mike Penrose has since said there needs to be ring-fenced funding to deal with this problem and called for a national strategy that prioritises action for children. Mr R and I go to great lengths to make sure that Maya is properly looked after, that she eats, drinks and sleeps well, that she is active, and that she has a healthy lifestyle. We are doing all we can to give her the best start in life. But worryingly – as the school pupils on climate strike this week so perfectly articulated – it may all be for nothing if her health is detrimentally affected by this silent, invisible killer. Clean air shouldn’t be a privilege, but a child’s right regardless of where they live.